Everybody has a junk drawer. A junk drawer contains treasures of the heart and its contents are generally overvalued by one person in particular for some reasonable – or at least close to reasonable – explanation. The next person would be ready to toss your treasured tidbit at immediate glance. Little do they realize its value or the memory connected to it. A small irregular rock that shimmers with the dusky red rudiments of a glassy luster (that was gifted from the cutest grandson ever! ), a bag full of Betty Crocker box tops that students collect for education and a tattered and folded sheet of lab values from years gone by. These treasures are interspersed with paperclips and buttons, coins and rubber bands, safety pins and old keys. It is the tattered and folded sheet I am searching for. I have always thought I would memorize those numbers and not need that sheet any longer. I keep it in my junk drawer, just in case I question my memory. (And it seems I am forever “questioning my memory!”) I need to review those lab values again! What are the normal values? What were my numbers last time? How am I doing? Has my exercise been bringing those numbers down? Is my healthy eating making a difference? Like in the song, “over the rainbow, “WAY UP HIGH” – that’s where you want your HDL (your good cholesterol) level, not where you want your LDL (your bad cholesterol) level. HDL is “good” because it serves as a scavenger, removing LDL or “bad” cholesterol from the cells and plaques and carrying it back to the liver for excretion. We all know that having excessively high levels of lipids in your blood (hyperlipidemia) can have an effect on your health. A high cholesterol level itself does not cause symptoms; rather it increases your risk of serious health conditions like heart disease. Cholesterol is a fatty substance known as a lipid. It is essential for the normal functions of the body made primarily by the liver but it is also found in foods such as dairy and meat. 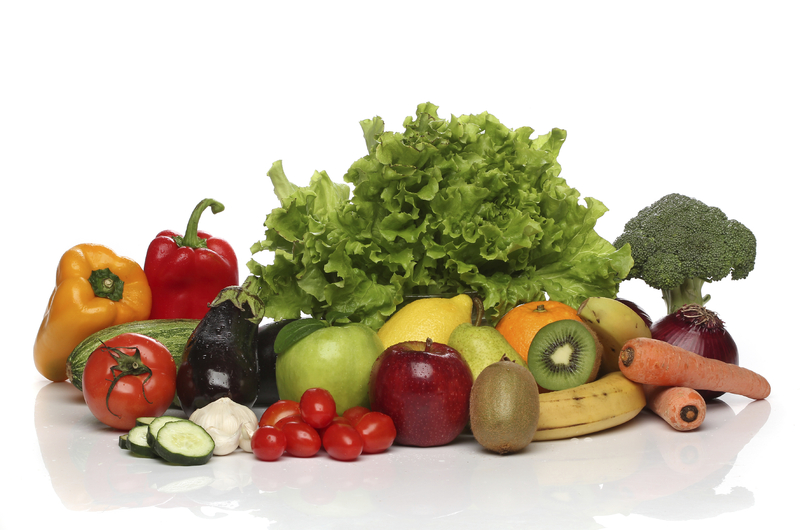 Plant foods like fruits, vegetables and legumes contain no cholesterol. Although cholesterol is vital for normal growth and development, we do not need much of it to keep our bodies in top functioning condition. The problem escalates when our diet is too high in saturated fat and trans fats, which stimulate the liver to produce more cholesterol than the body needs. Many individuals think all cholesterol is unhealthy when, in fact, it is the LDL (the “bad” cholesterol) that has shown an increased risk of heart disease. This connection was made back in 1961 during the Framingham Study. It is not the cholesterol itself that is “bad” or “good” but rather the particles or lipoproteins that carry it. Keeping cholesterol in simple form, let’s look at the numbers we need to know and what we can do about those numbers. The American Heart Association recommendations are concise. 200 mg/dL or less is optimal. 240 mg/dL and above is high. A person with a level of 240 mg/dL or above has twice the risk of coronary heart disease as someone whose level is below 200mg/dL. 99 mg/dL or below is optimal. 100–129 mg/dL is slightly higher than optimal. 130–159 mg/dL is borderline high. Anything over 190 mg/dL is very high. Cardiologists often recommend that high-risk patients get their LDL down to 60 mg/dL. It is wise for everyone to keep their LDL as low as possible. The guidelines for HDL cholesterol show that an optimal level is 60 mg/dL or above. The AHA states that an HDL of less than 50 mg/dL is a risk factor for woman and an HDL of 40 mg/dL or less is a risk factor in a male. 149 mg/dL or under is normal. 150–199 mg/dL is borderline high. 500 mg/dL is very high. Cardiologists recommend statins, diet change and exercise to improve cholesterol levels. The worry is that people on statins may feel the medication allows them to continue eating as they did before. This simply is not the case and may lead to weight gain and continued health complications. Eating a rainbow of foods is going to get your numbers in more reasonable range and it is an easy thing to remember. Eat a rainbow every day that looks like the kaleidoscope of colors at the top of this page. Eat simple. Think simple. Wake up to a bowl of oatmeal. Add some fresh fruit or walnuts or almonds. Slice a banana on top of a whole grain cereal. Fish is always a heart healthy choice because of its high levels of omega-3 fatty acids. Head over to Subway or Erberts and Gerberts for a healthy albacore tuna sub sandwich. Snack on a small handful of walnuts, almonds or pistachio nuts or add nuts to your luncheon salad. Salads with an olive oil and vinegar dressing would be a perfect luncheon alternative. Olive oil (choose extra virgin) contains a potent antioxidant that lowers your LDL. You could also use olive oil as a substitute for butter when basting meat or even a dip for bread – just remember you do not need much, as it is high in calories. It is only common sense that we need to reduce foods high in cholesterol and total fat – especially saturated and Trans fats. Saturated fats are found in meats and full fat dairy products. Trans fats are in processed foods like cookies, crackers and cakes and in fried foods like French fries, doughnuts and pie crusts, along with stick margarines and shortening. Lifestyle changes will make the biggest impact on your HDL cholesterol. Smoking increases HDL cholesterol by up to 10 percent. If you are overweight, losing a small percentage of your weight will improve your HDL level. You will lose that extra weight by increasing your physical activity. Walking briskly tends to be the easiest and most preferred method, but any and all activity will make a difference. Consuming the right foods can protect your heart in innumerable ways. It will lower your LDL cholesterol as well as blood pressure. It will limit inflammation of the arteries and ward off diabetes. Your weight will be more controlled. You will simply feel better, laugh louder, love deeper and enjoy life! Once again, excellent job, Sharon. I had to dig in my drawer for my last labwork to remind myself where I stand from a cholesterol standpoint. Can’t be reminded of the importance of this too often. Thanks! It’s funny how we all have those drawers that contain important tidbits of our lives like our lab values! I guess there’s an app for that now days. When looking at our cholesterol values we want to keep that within a target level that is right for you. If you do not have coronary heart disease and if you have fewer than two of the major risk factors — obesity, high blood pressure, or a family history — your LDL cholesterol should be below 160 mg/dL (and preferably under 100). If you already have coronary artery disease or diabetes and your LDL is over 100, cardiologists generally will recommend you take cholesterol-lowering meds to get your LDL below the 100 mark. If you are at very high risk for a heart attack (you have coronary artery disease or diabetes AND multiple risk factors), doctors may recommend you use medications to bring your LDL readings below 70 mg/dL. I hope your values are all you want them to be! Thank you for your comment. Thanks, Sharon. I wrote all those level downs, as I have my blood work next week. I also need to have my lipids tested, right? You said that was important, as well. I need to go back and reread one of the old blogs before next week to have that information, too. Thanks for educating me on all of these health issues. I try to eat that “rainbow” as I know how important it is for so many reasons!!! I would LOVE to hear more about some of your fav recipes that are heart healthy. Have a great week!!! I suspect your physician will order a complete fasting lipoprotein profile which will show your cholesterol levels – your total cholesterol, your HDL cholesterol, your good cholesterol, your bad cholesterol and your triglycerides. Go to the American Heart Association website for more info – it contains a wealth of knowledge. I have some recipes coming up soon! Thanks for asking. Wishing you a relaxed week ahead.